Prestige - Deboss - Glove soft Nappa leather clipboard. 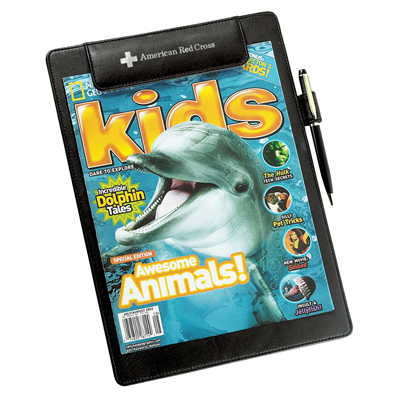 A unique one of a kind design with a super strong hidden magnetic clip that holds papers firmly in place. This prestigious presentation piece makes a great impression. 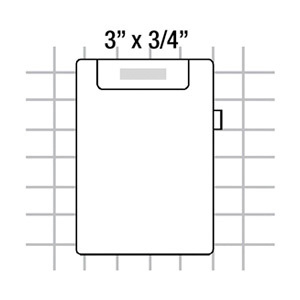 Item Size: 9 3/8" x 12 3/4"
Deboss price includes 1 position imprint. Foil & Pad Print price includes 1 color, 1 position imprint. Price that shows up on order is for Foil, Deboss or Pad Print. Please call the office to place an order for the SpectraDome. Setup Includes : Deboss price includes 1 position imprint. Foil & Pad Print price includes 1 color, 1 position imprint. Imprint Area : 3" x 3/4"